3 homes (main home, gite, barn) plus campsite on 6000 m² in a rural location. Many people dream of giving up the daily grind of their lives in the UK and moving to France for a better quality of life (Life in France). One of the big problems that can prevent them from realising this dream is the thorny question of earning a living (Jobs in France). Money may be an evil, but it is certainly a necessary evil! If you want to live in France you will need an income, that is, unless you are independently wealthy or retired with a decent pension, although this is increasingly rare these days! Fluent French speakers may be lucky enough to find employment, but this is the exception rather than the rule, so the majority of ex-pats have to set up their own businesses in order to finance their new lives. For a long time, the best thing that people could do in France would be to buy or create gîtes (holiday homes to let out), or to run Chambre d'Hotes (B&B businesses). This can still be done, of course, and many do still find that these businesses are an ideal solution. (Owning Gîtes and Chambres D'Hotes (B&Bs) in France). However, increasing numbers of people are finding that the gîte market is somewhat oversubscribed, and that they are not able to let their properties for enough months of the year to bring in a decent living. B&Bs too are suffering from over popularity and can no longer, in most cases, be relied upon to create enough income for a good standard of living in France. So what else, then can you do to create an income? Working in the holiday industry, dealing with other English speaking people is certainly the easiest way forward, and a possible way of doing this is to buy and run a campsite in France. The British (and many other nationalities too!) love camping, and given the pleasant climate in France in the summer time (Weather in France), it makes an ideal venture for anyone with enough initial capital, enthusiasm and determination to make it a success. What type of campsite in France is best? The word may be the same, but one campsite in France is not necessarily the same as any other. There are many different possibilities within the genre, and getting the decisions right before you begin is an important part of a successful venture. The first big decision to make is the location of the campsite. The choice, in general, is between a seaside site, which will attract large numbers of people for a short period of time, or a rural site which will cater for smaller numbers of people but will probably have a longer season. The choice is yours, but whatever you choose, remember that it will dictate the type of lifestyle you live as well as that of your clients. Seaside locations (Property near Sailing Ports / Marinas in France) are frequently very busy during the season, and you should bear in mind that clients who choose these campsites in France expect plenty of entertainment laid on, with facilities such as swimming pools (Installing a swimming pool in France), bars, snack bars, discotheques, tennis courts and children's play areas. The more good quality facilities you can offer in these types of locations the more clients you are likely to attract. You might also consider laying on day trips to local places of interest, offering babysitting services, and linking up with local sports and leisure service providers (Sport in France) such as horse-riding centres, sailing clubs and other businesses who may offer a discount to your clients. If you prefer a quieter lifestyle, and want to encourage the type of clientèle who will share your ethos, then you may prefer to consider a rural location in France for your campsite venture. These campsites need less in terms of facilities, although the necessary basics, such as sanitary blocks and laundry blocks do need to be of the highest standard. Clients who favour rural locations tend to prefer a little more space, and you need to consider this when allocating pitches. Although you will not need to provide as much in the way of entertainment, you should take great care over the location of the campsite, as this will be important to your potential clients. An ideal rural campsite will be located in a peaceful, pretty spot, yet not too far from a village or attractive town of character. Make sure that the site is tidy, clean and attractive at all times as first impressions will be vital in a rural location, as there is less to distract the eye than in a seaside campsite with its shops, bars and pools! Having said that, a swimming pool is a definite plus point even in a rural location in France. Buying a campsite in France - tents, mobile homes or chalets? Should the campsite be stocked with tents, mobile homes or wooden chalets? The nature of camping in France is changing, and even Brits who were brought up on the Boy Scout principles of survival under canvas, are more likely these days, to choose a comfortable mobile home or a spacious chalet over a traditional tent. There will always be a place for tents though, and any campsite should provide tents and possibly also facilities for campers to rent a pitch for their own tents. The trend, however, is towards bigger and better mobile homes and luxury chalets, so if the campsite you purchase is deficient in this department, allow considerable funding for upgrading or you will find your clients deserting you for more comfortable and prestigious accommodation! When trying to calculate a likely income it is essential that you have a good idea of how many weeks of the year you can expect your campsite business in France to operate. Once more, this depends to some extent on the location and type of campsite that you are running. Seaside locations tend to have short but hectic seasons, mainly running at full stretch only during the school summer holidays i.e., for July and August. The upside is that they are usually full to capacity during these times, and when the season is finished you will have made your money and you can relax a little... until it's time to start the maintenance and development work for next season that is! Rural locations in France tend to have a more extended season, often attracting couples or mature groups rather than families and therefore not being as tied to school holidays. The weather is also less of a consideration in these types of site, although the season will surely last longer in southern and western areas where the warm weather begins sooner and finishes later! In general, however, you cannot bank on a campsite being busy outside of the main summer months, which is why it is rare to find one that is open all year round, even in the south of the country. How much capital do I need to buy a campsite in France? It is difficult to put an exact figure on this, as prices vary from place to place and site to site, for obvious reasons. At the time of writing, however, viable campsites in France tend to cost upwards of £300,000 (GBP) and look set to continue to increase in price. You should also bear in mind that this purchase price may not include owners accommodation (unless you are prepared to live full time in one of the mobile homes or chalets) so allow enough extra cash to buy or rent a suitable house nearby if necessary. Bear in mind too, the amount of work that you consider will need to be done to modernise or upgrade the campsite, as many that are on the market have not had any substantial changes made for years, and are being sold as they are failing to compete with newer, more luxurious campsites. In order to maximise your income and you will want to advertise your business. If you want to appeal to mainly English clients then you will need to take out advertisements in English publications, and perhaps in ex-pat publications in Europe. Consider, also, the USA as a potential source of clientèle, as many American holiday makers come to France for a camping style holiday. A successful campsite will usually be endorsed by one or more bodies such as EFCO & HPA (European Federation of Campsite Organisations and Holiday Park Associations). In order to achieve these endorsements, campsites in France need to meet the professional standards imposed by these organisations, and pay an annual fee for membership. The site will be inspected yearly, and once accepted will be recommended to potential clients. Owners can also use the endorsements in their advertising, and clients will be assured of good standards of cleanliness, decent facilities and safety features regarding swimming pools and other equipment. More information on EFCO & HPA is available from www.campingeurope.com. The French government has also applied its "Qualité Tourisme" standards to campsites in France, and the logo is a sign that a campsite has been inspected and approved as adhering to the highest standards. Visit the website for further information (in French) on www.campingqualite.com or on www.qualitetourismegouv.fr. Buying a campsite in France or starting from scratch? Unless you are very experienced in the tourism business and well versed in French law and finance, it is almost certainly better to buy an existing campsite than to try to start from scratch. It is difficult to find a site in a prime location where planning consent is available (Building or extending property in France, Land for Sale in France), and loans can be hard to come by without proof of an existing income. Even if you manage to overcome these hurdles, it will be at least three years before the business is self supporting, financially speaking, so you will need a large contingency fund! Existing campsites are frequently for sale, and vendors should be able to provide potential purchasers with sufficient paperwork to make a realistic assessment of the business, and to assist in the obtaining of finance. It will almost certainly be necessary to make a visit, however, before buying, as there is only so much that can be seen from accounts and photographs! Will I need to speak French to run a campsite in France? To a certain extent, yes you will (Learning French). This is true of almost any business that you want to run in France, as you need to be linguistically competent enough to deal with the relevant authorities (for taxes, social charges, safety regulations, insurances etc.) and also to deal with staff. Most campsites will need some staff members who are fluent in or two or more languages, and therefore able to communicate with international clients, but also you are likely to require cleaning or kitchen staff who will probably speak only French. So just because your clientèle are mainly English speaking doesn't completely absolve you from the need to learn French! How do I find a campsite for sale in France? 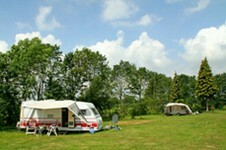 French Property Links has details of several campsites for sale most of the time. To find them, use the search box on the top right (under the union Jack) of the homepage, and simply type in the word "campsite". You can also approach local specialist commercial immobiliers in the specific regions that interest you, and keep an eye on local publications where ads of this type may appear. Once you have your perfect site, thought, don't sit back for too long. Running a campsite can be financially and personally rewarding but it is also hard work, and you will always have your work cut out to maintain, update and improve if you want a really successful business. We are looking for a small campsite with approx ten static caravans. Alternatively we have heard that it is possible to have up to six static caravans without planning permission. Do you know if this is the case or where we may find out? Thanks for contacting us. I have been in contact with my colleague in France who says that rules have changed recently with the massive changes to planning laws on Oct 1st of this year (2007). The new ones are still settling and no one seems very certain of them yet, but things are generally much tighter. And rules also vary from place to place. It seems in some areas no permission is needed, in others, it is. Apparently this all depends on the Maire of area. He certainly will have all the new planning regulations, and will have decided exactly how he wants to interpret them. Or alternatively you could contact one of the other legal firms listed on our Services page. I have been told that mortgages are seldom granged for the purchase of a campsite. Is this really true? If not, can anyone give any suggestions or summary of their experience please? Many thanks. Thanks for contacting us. Have you tried the mortgage service provided on our site, under the tab headed "French Mortgages" (http://www.frenchpropertylinks.com/mortgages.html), for their advice? I'm afraid I was not aware of this particular problem, so cannot be of much help. Good afternoon, we are currently looking into the process of buying a property with land to put yurts on, in the Hauts-de-France region. Although I've searched various sites I am still unclear on a couple things. As they are non permanent structures, as long as the property already has a building on, am I correct in thinking we are allowed a certain number or yurts without permission? If this is the case, how many would that be? Also what permissions would we need to rent them and run a business from the home. Thanks for contacting us. The best place to find out about rules and regulations regarding campsites would be the local Mairie. Online, both the Fedération Française des Campeurs, Caravaniers et Camping-Caristes (https://www.ffcc.fr/) and the Fédération Nationale de l’Hotellerie de Plein Air (http://www.fnhpa-pro.fr/ ) have comprehensive websites available.